Due to the hype this book has recently received, I decided to pick it up. It's a collection of poems split into chapters named 'the hurting' 'the loving' 'the breaking' and 'the healing.' It covers a range of messages and themes and includes mini sketches surrounding the poems. The topics this book covers are really important and hold a lot of meaning. The messages portrayed about loving and hurting especially are so valuable and I feel like people should read these poems just for that (even if you just open the book on a random page and read the poem I'm sure it will mean something significant!) Another fantastic thing about the topics Kaur has chosen to write about are things that everyone has experienced at least once in their lives so it's really relatable. 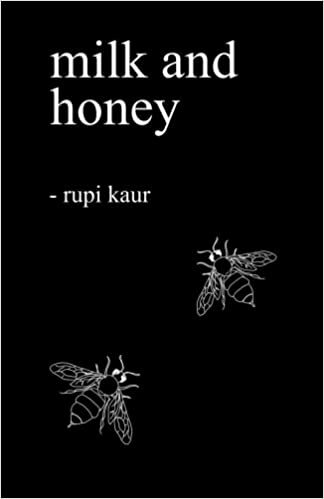 The poems are insanely well written - some hold punch to them and hit you with a truth or understanding, whilst others are thought provoking and memorable. Also the majority of the poems themselves are quite short which is nice since they're easy to remember and can be read quickly at random, depending on the mood you're in. Altogether I really enjoyed reading this collection of poems. The wonderful thing about poems is that you don't just read them once and the put them back on your shelf, you can just come back to the book any time you like or open it on a random page and read the first poem you look at. And these poems are perfect for that due to their shortness and direct nature, whilst still making you feel something at the same time!